Suzy Post’s long career in community activism can arguably be traced to her German-Jewish roots; she said so herself. “That was like a really, really big and compelling influence on her – the lessons of history and the oppression of minorities,” Ben said. In fact, Post she said in an interview with Louisville magazine shortly before her death on Jan. 2 that the Holocaust experience taught her a stark lesson about human behavior … and a hopeful lesson about human empathy. So Post spent a lifetime making sure people have access to decent education, fair housing, civil rights and everything else that equates to living in a just society. Post died at her home in Crescent Hill following a long battle with cancer. She was 85. Small in stature, large in spirit, frank in speech, Post will be best remembered for her eight-year stint as executive director of the American Civil Liberties Union of Kentucky, and before then, as its president. Her uncle, Arthur Kling, co-founded the chapter. Post used her time there well, building up the chapter infrastructure, tapping lawyers over dinners at her home to volunteer their time and, in her crowning achievement, establishing its Reproductive Freedom Project, an entity that staves off legislative attempts to weaken a woman’s right to choose an abortion. Long before that, though, she took on the fight of her life in 1972 when she became the lone white plaintiff in the public school desegregation case that became known as Haycraft vs. Louisville Board of Education. She was a strong supporter of public schools – all five of her kids attended them – her work on the case leading to the 1975 court-ordered desegregation of the Jefferson County Public Schools. Her longtime friend, Bob Sachs, went even further. “She was not cowed by anybody,” he said. and became a tireless advocate for recognition of women’s rights on par with African-American rights. Her work, and that of others, led to the establishment of the national Women’s Rights Project by the ACLU. Among its first staffers was future Supreme Court Justice Ruth Bader Ginsburg. Though she cited physical fatigue as one reason for leaving the ACLU in 1990, Bob Sachs, who served on the local ACLU board, said it was more complicated than that. Indeed, Post’s community service work extended beyond the ACLU. After leaving in 1990, Post became director of the Metropolitan Housing Coalition, a position she held for 16 years. She also served on the Louisville-Jefferson County Human Relations Commission, joining its Women’s Committee and looking into Title IX compliance in the schools. In that job, Post found many instances of girls being put in home economics courses instead of math and science. She monitored compliance (or the lack thereof) in the area of sports. She recruited more than 90 volunteers from the National Conference of Christians and Jews, National Council of Jewish Women, and other entities who documented 93 violations. Those incidents were reported to the U.S. Department of Health, Education and Welfare. Federal investigators validated every complaint. “You couldn’t do social justice work [in Louisville] without knowing her,” Aldridge said. Post delved into Jewish community work as well. She served on the board of the Community Relations Council, now known as the JCRC. One thing she taught him (and others) was that she would fight for issues she cared about. “She was passionate about all of them,” Engel said. She told Sachs how she used to bring a dime to Hebrew School every week, just like the rest of the kids, for charity. She thought that wasn’t nearly enough, so she baked cookies, then raffled them off. “By herself, she raised four times the amount of the money that all the other kids combined raised,” Sachs said. 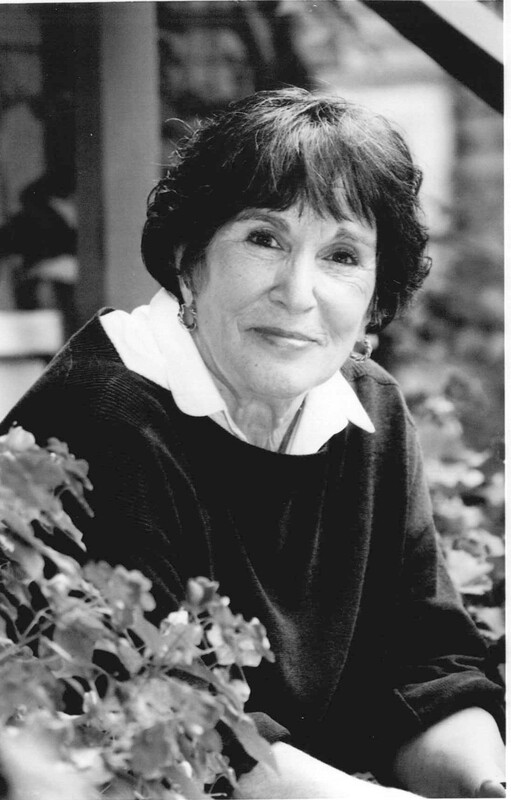 A University of California, Berkeley, graduate with a degree in English literature, she returned to Louisville and got involved with then-Kentucky Civil Liberties Union in 1969. As its president, Post, an ardent feminist, organized the state’s first Equal Rights Amendment Alliance. 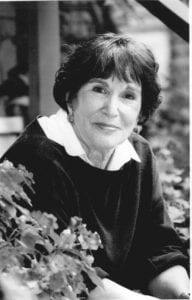 After befriending Sachs in 1973 when he moved to Highlands, she tapped him many times for community service work. Post is survived by her children, David Post of State College, Pennsylvania; Steven Post of Madison, Wisconsin; Ben Post of New Albany, Indiana; Daniel Post of Santa Rosa, California; and Rachel Post, of Portland, Oregon. Post donated her body to the University of Louisville Medical School. A community celebration of her life will be held at 2:30 p.m., Sunday, March 10, at the Muhammad Ali Center. She received several accolades while she lived. In 2016, the Muhammad Ali Center honored her at its Daughters of Greatness Breakfast. Speaking at the event, JCL President and CEO Sara Klein Wagner cited the talmudic lesson that saving a soul is equal to saving a world.